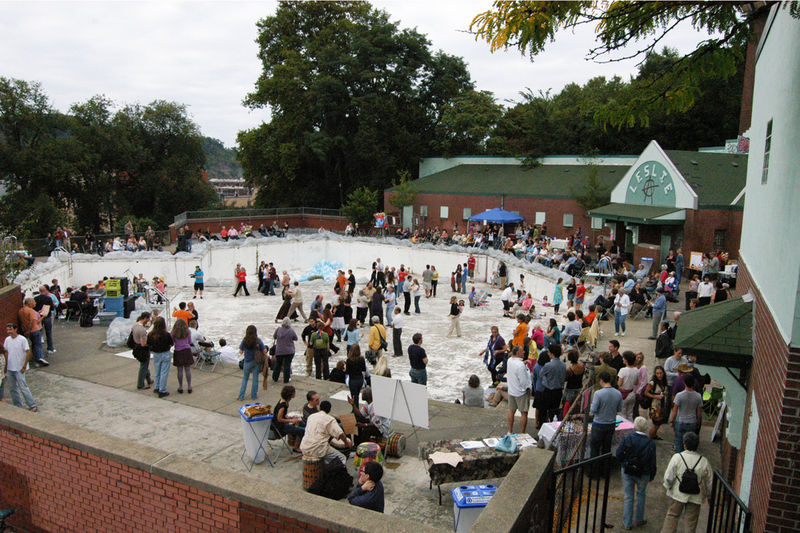 A urban design strategy to adapt a vacant Lawrenceville public park and pool into a flexible spray park and event space. 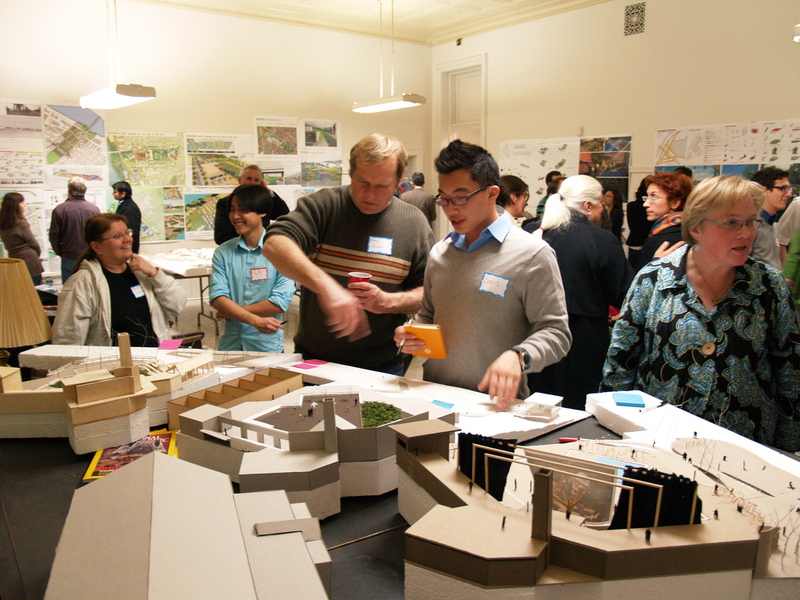 As part of the Fall 2010 Carnegie Mellon University Urban Laboratory Studio, UDBS students began working with the Leslie Park Pool Collective (LPPC), local stakeholders, public and private agencies, and consultants to define urban-scale objectives for Lawrenceville. 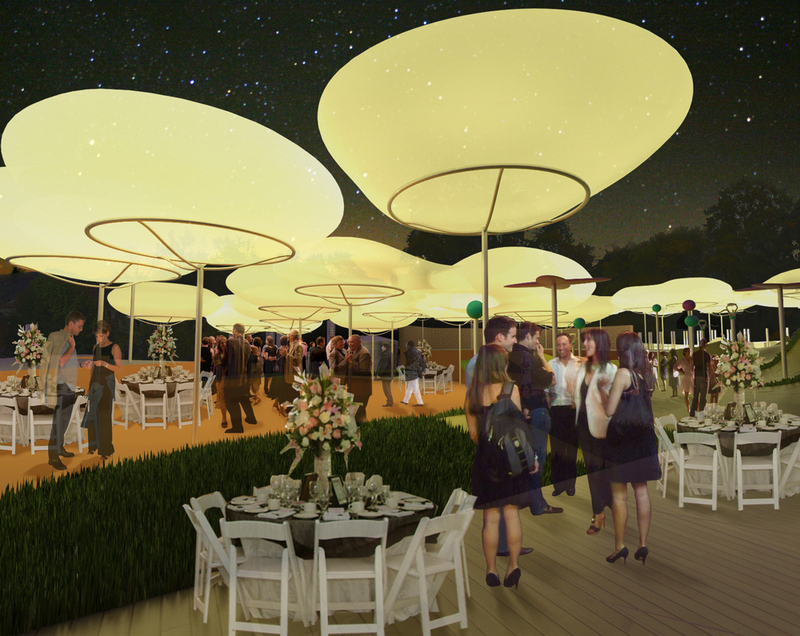 The LPPC had already hosted a series of events in the empty pool and wanted to redevelop it for public use. Flexibility in type of occupants, time of use, and possible activities is a major goal, allowing the Leslie Park complex to maintain a high level of activity throughout the year. It will establish a wide regional draw with implementation of sustainable technologies, including environmentally friendly spray park equipment and Pennsylvania's first water filtration system. 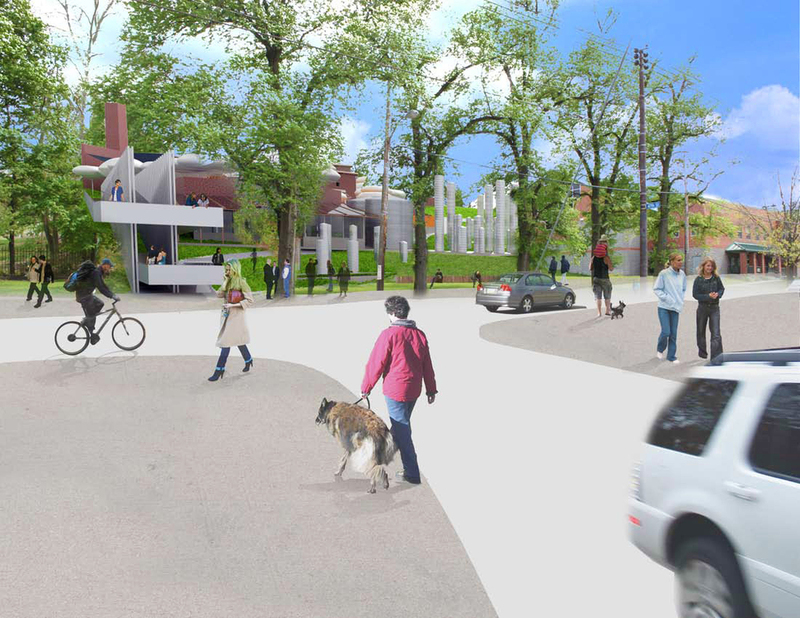 Adjacent to several urban elements, Leslie Park capitalizes on an opportunity to revamp street corridors and enhance social interactions in the Lawrenceville community. 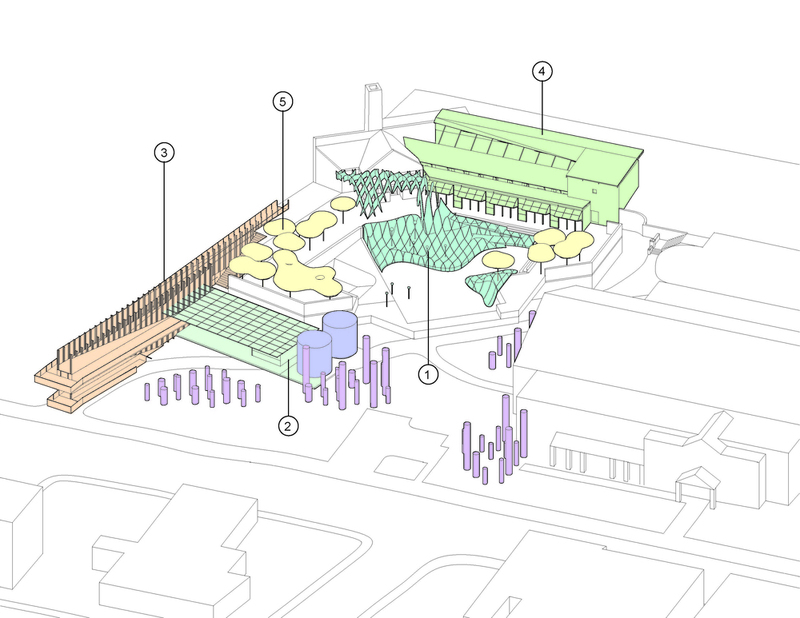 Implementation of the masterplan is an ongoing effort. Senator Jim Ferlo secured an Allegheny County Economic Development Community Infrastructure and Tourism Fund grant to support initial phases and a proof-of-concept water filtration system built during spring and summer of 2012. Baker Engineering has partnered with the UDBS and assumed implementation for the 10-year phasing plan for RE_IMAGINE LESLIE.